Russia and Turkey agreed on borders of the demilitarised zone around Syria’s Idlib, part of a deal aimed to prevent a military assault on the last rebel enclave, Russia’s top diplomat said. “Just yesterday or the day before, the militaries of Russia and Turkey agreed the concrete frontiers of the demilitarised zone,” Lavrov told reporters during a visit to Sarajevo. Moscow said the demilitarised zone would help stop attacks from Idlib on Syrian army positions and Russia’s military bases in the region. Security in the area will be overseen by Turkish contingents and Russian military police. The agreement will prevent military action against Idlib, Russia’s defence minister said. “It’s an intermediate step … but a necessary step,” Lavrov said of the zone. “By mid-October, all [fighters from Hay’et Tahrir al-Sham] must leave this demilitarised zone, and all heavy military equipment must be pulled out of there,” he said. Russia and Iran are key allies of Syrian President Bashar al-Assad’s regime, helping the Syrian government establish control over most of the country’s territory after intervening in the multi-front conflict in 2015. Turkey, however, backs opposition fighters seeking to oust the Syrian leader. It has said a large-scale offensive against the rebels could trigger a mass exodus towards its border. In Idlib, protests continue in the rebel-held province calling on the international community to stop the bloodshed, while demanding the ouster of Assad. “We are concerned because some countries are now moving closer to the regime. Europe and the US, for example, they have not taken any real stance against the crimes committed by the regime,” Ahmed said. 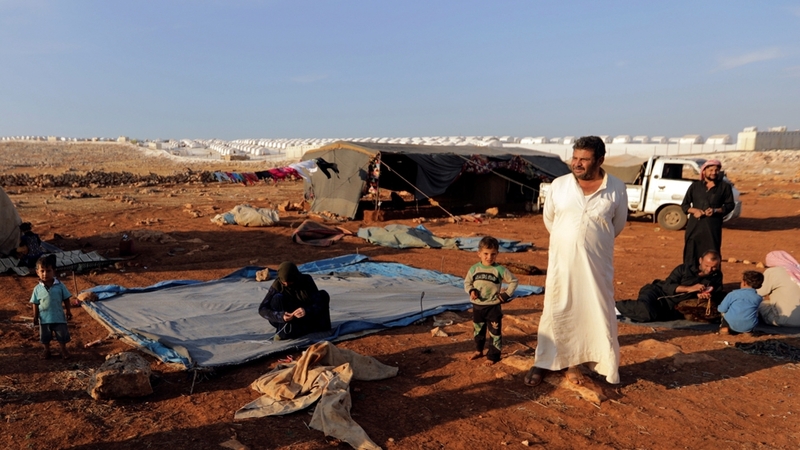 Meanwhile, Jan Egeland, a UN humanitarian aid official for Syria, warned he still sees “great potential for a lot of fighting” in Idlib – despite the recent accord between Russia and Turkey. Egeland said “it’s not over” and air raids and ground offensives are likely to continue against UN-listed “terrorist” groups whose fighters live near civilians. Egeland said some armed groups were prepared to fight to the end and urged talks with them “to end the conflict without bloodshed for civilians”.